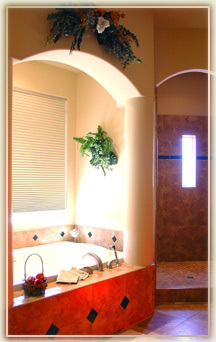 All stays at our private and luxurious Sedona Bed and Breakfast include breakfast and an evening or late afternoon snack. When you stay for 4 nights, we will include a reflexology hand treatment with paraffin wax. This is a great remedy for our dry climate. 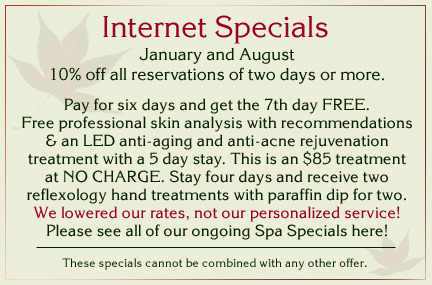 When you stay 5 nights, you will ALSO receive a skin analysis and an LED Photo Rejuvenation Treatment worth $85. Stay 7 nights, YOU WILL ALSO receive the last night at no charge. This is value is between $285 and $320. Children are welcome, if their parents reserve both the Sedona Safari Room and the Evergreen Room for their family. When this occurs, we give a 15% discount on the Evergreen Room to help ease the challenge of the parents paying full price for both rooms. Pricing is based on occupancy with two per room. There is a $35 per day additional charge if there are more than two people in the Sedona Safari Room. This room has a new queen size hide-a-bed with an extra foam topper. See our incredible new Photographer’s Dream Vacation in Sedona Package here. Sedona Safari Room on the second floor. $279 per night plus $35 for one person on hide-abed. The Evergreen Room on the first floor, $249 per night.